Antonio Conte put pen to paper on a new deal with Chelsea last week. 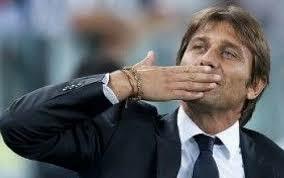 Unusually, the contract did not extend his stay at Stamford Bridge beyond the two years he’s already committed to. In fact, the Italian has essentially just agreed to a pay rise. It will no doubt put Roman Abramovich’s mind at rest, though, as it does go some way to clearing up the manager’s immediate future. Conte has admitted he did consider leaving the club earlier this summer, but not for the reasons which have been widely reported, such as the Blues’ quiet start to the transfer window. His family have now joined him in London, but he has been reflecting on the feelings earlier this summer which made him weigh up his future. “I must be honest, last season was very tough,” he said, per the Mirror. “It was very strong for me and for my family. It wasn’t easy for me because sometimes when you win you think that everything is easy but it wasn’t to win and to have this type of season. “Now I decided with the club to ­continue our path. I spoke with the club and we found the right view about the future. For every manager it is important to explain your idea. “I can want this, but if I’m alone it’s very difficult to do this. The 47-year-old was named Premier League Manager of the Year for his role in Chelsea’s title win, and with the additions of Antonio Rudiger, Tiemoue Bakayoko, and Alvaro Morata, he must be confident of pulling off that feat again.